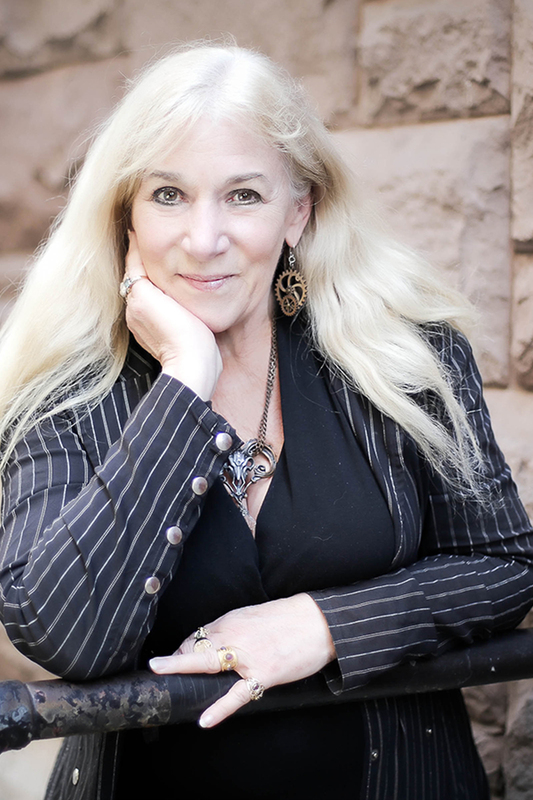 New York Times and USA Today bestselling author Heather Graham will appear at the DoubleTree Resort by Hilton Grand Key in Key West as Special Guest Presenter at the 5th annual Mystery Fest Key West, taking place June 22-24. Q: Can you tell us a little about your writing process? Are you an outliner or do you let the story reveal itself to you as you go? Heather: My writing process just flows along with life. I tend to like mornings because we have five children and I spent years waking up at five-thirty to get people to school. I still like the morning. But, thanks to five children, no amount of noise bothers, and, so, while they're now grown, my style is something like a Dr. Seuss book . . . I can write in a car, going far, up in a plane, or on a train, by morning light, or the darkness of night . . .
Q: Have you ever sung Karaoke in Key West and if yes, would you do it again? Heather: LOL -- surely, you jest. Having spent my first make-a-living adult days in musical theater, I am happy at any time to head to a karaoke bar. Yes, I've had many a great night and met many interesting people in Key West's karaoke bars! Q: Have you ever cried over a character that you killed off? Heather: There’s a character in a book called “The Dead Room” I was very sorry to see go. But then again, I do often write about ghosts. Q: In 2017 you co-authored “The Rising” with Jon Land. How did the writing partnership come about and do you have any thoughts/insights to share on collaborative book projects? Heather: I had been with Tor books editor Bob Gleason at NASA facilities many times and it was there that the concept of NASA-inspired books for young people originally came about. Jon is a dear friend and we came up with the idea for “The Rising” over dinner one night. I've also written a book with actor Chad Michael Murray. I'd first declined the offer since I am under contract, but, Chad turned out to be earnest, wonderful, and a great dad—and, when we first met, had to excuse himself to talk to his vet. His dog—he'd lived with the dog in his car when he'd first moved out to L.A. —needed surgery. I love animals even more than karaoke and therefore . . . animal talk turned into me saying yes. Both were wonderful experiences! Now, you can't write with just anyone—if you want to co-write, you need a kindred soul! Q: Heather, you have appeared at every Mystery Fest Key West since the inaugural one in 2014. What keeps you coming back? Heather: I love this con! The community support in Key West is like no other. I have loved Key West all my life, and it’s been a refuge and get-away for me forever. To have this con, with such fantastic information from experts in so many fields is amazing. I will always be there! Appearing with Graham at Mystery Fest Key West 2018 are some two-dozen crime-fiction and true crime experts, including Keynote Speaker Ace Atkins, the multi-award-winning, New York Times bestselling author of twenty-one novels; Special Guest of Honor, the multi-award-winning editor and publisher Otto Penzler; New York Times bestselling authors Lisa Black, Diane A.S. Stuckart, and Charles Todd; bestselling and award-winning author Nancy J. Cohen; award-winning authors Patrick Kendrick and Lewis C. Haskell and many others. Event highlights include presentation of this year’s Whodunit Mystery Writing Competition Award, workshops on the business of being an author, how to write and sell a first novel, crisis negotiation and the forensic use of fingerprints, multiple panel discussions on subjects ranging from the state of the publishing industry to book marketing and promotion, author book signings, a Keynote luncheon with Ace Atkins, a Conch Train mini-tour of Key West, an ice-cream social event with Atkins and Otto Penzler at the historic Key West Lighthouse, and a Bloody Mary Morning breakfast courtesy of Mystery Writers of America, Florida Chapter, at the famous Schooner Wharf Bar at the Key West Historic Seaport. All who register for the Fest by midnight June 1 will be automatically entered in a drawing to win a cameo walk-on role in author Diane A.S. Stuckart’s as yet untitled second release in her Tarot Cats cozy mystery series from Midnight Ink, due out in 2019. Mystery Fest Key West is sponsored by the Monroe County Tourist Development Council, the Key West Citizen daily newspaper, Mystery Writers of America – Florida Chapter, the Helmerich Foundation, and the Florida Keys Council of the Arts. All panels and presentations will take place at the DoubleTree Resort by Hilton Grand Key in Key West. Event registration is $195 and includes all panels and presentations, a luncheon and the Bloody Mary morning breakfast. For a full Fest schedule, online registration, and links to accommodations visit MysteryFestKeyWest.com.